Be part of Laguna Lăng Cô’s effort in giving back to the community! Swimming for safety is a project launched with the aim to provide first aid courses and swimming techniques to local children. UNICEF and The Alliance for Safety state Vietnam is the one of countries with the highest rate of drowning in the world, an average of 32 deaths every day. 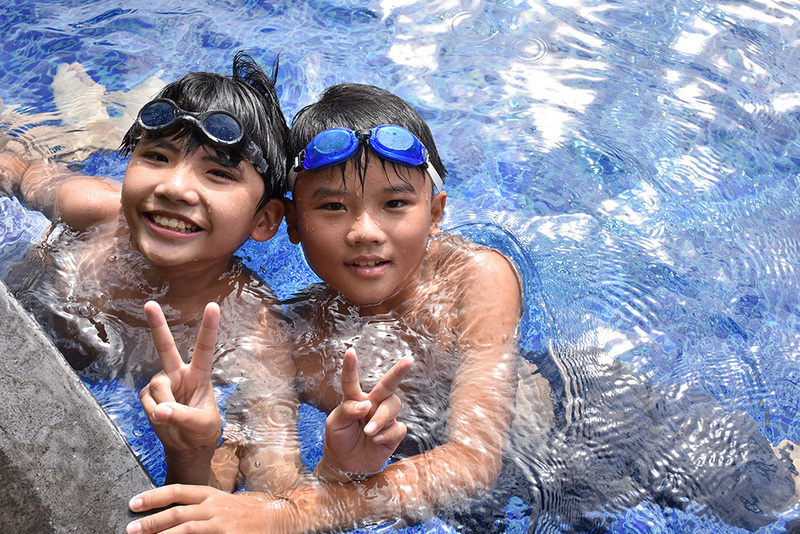 The Vietnamese government national programme on child injury prevention for 2013-2015 focuses on the prevention of child drowning. This program is particularly crucial as Thua Thien Hue Province has extensive flooding which poses significant safety risks for children in the province. Phu Loc district within Hue province is home to South East Asia’s largest lagoon. Statistics by Thua Thien Hue Red Cross show that 1,815 children were involved in water related accidents and fatalities in 2008 alone. 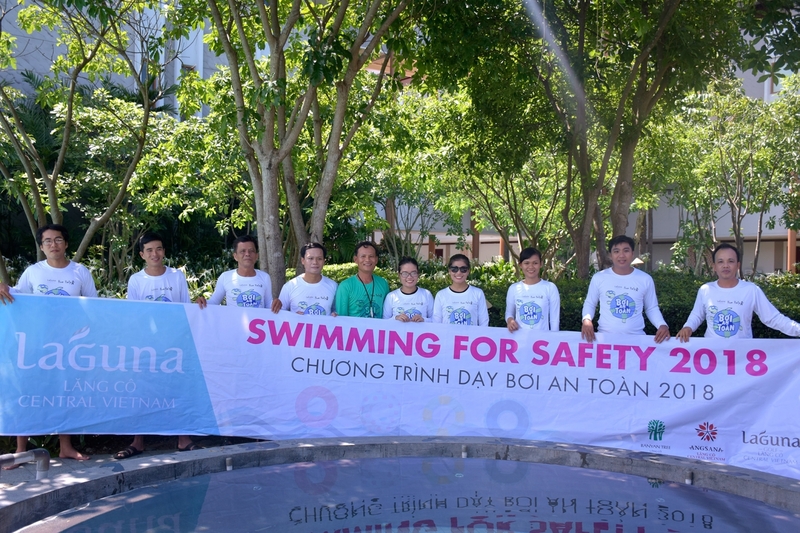 Laguna Lăng Cô, together with Hue Help, organised ‘Swimming for Safety 2018’ that was designed as two separated training programs for teachers (6 days) and students (18 lessons). With this program we hope to spread knowledge of water safety as well as to provide basic swimming training to more and more people in the community. The training program aligns with international standards of the UK Swimming Teacher’s Association (STA) and the International Federation of Swimming Teacher’s Associations (IFSTA) to ensure the lessons are both safe and effective. 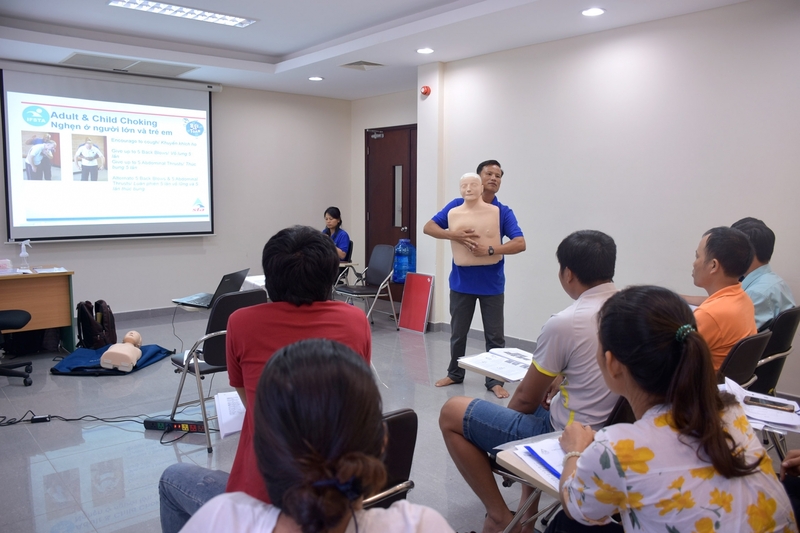 From July 30 to August 4 the training was conducted for selected local teachers regarding teaching methodology and skills about safe rescue, water safety awareness and survival swimming. Moving forward, these trained teachers will apply what they have learned for 180 local school students. 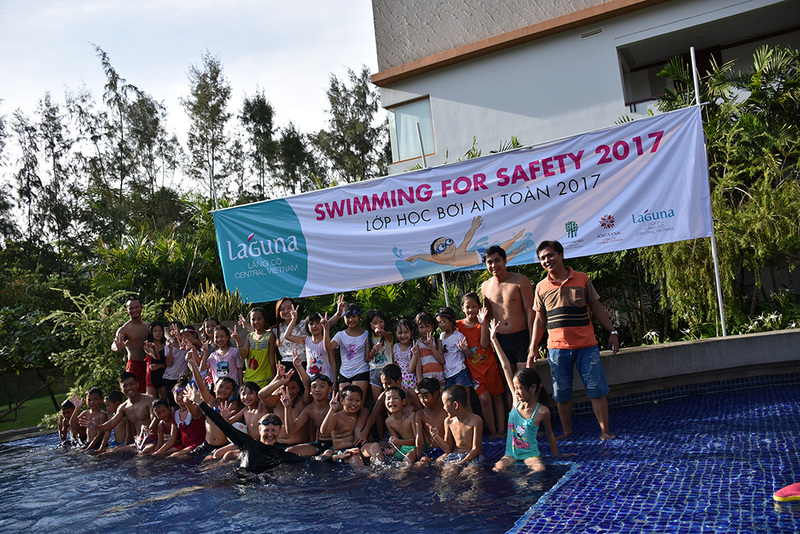 Following the success of annual Swimming for safety program 2016, Laguna Lăng Cô hosted the “Swimming For Safety 2017” for 40 students from Nuoc Ngot and Loc Tien primary schools with the hope to bring not only a useful swimming technique training but also a great summer time for the local children. Our associates and 6 local teachers who have gained “Swimming Certificate” volunteered to guide the students with swimming techniques and safety skills. 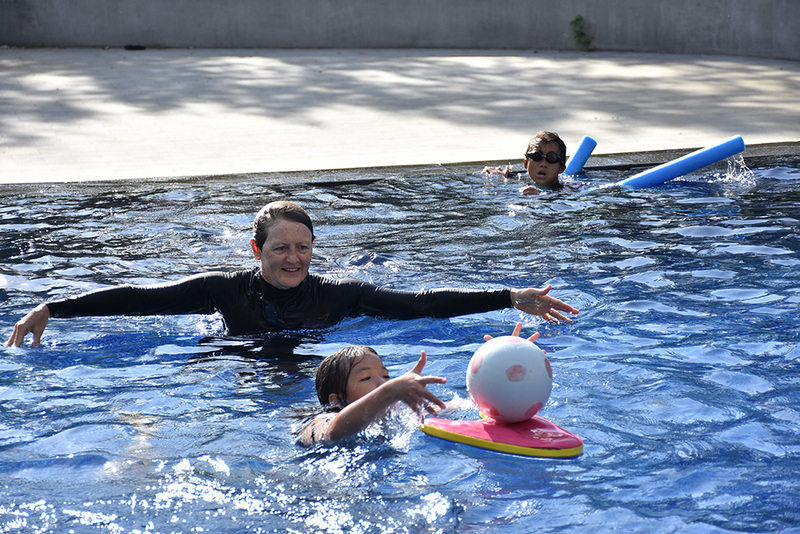 After 4 days, 70% of the children could swim and get comfortable with water. 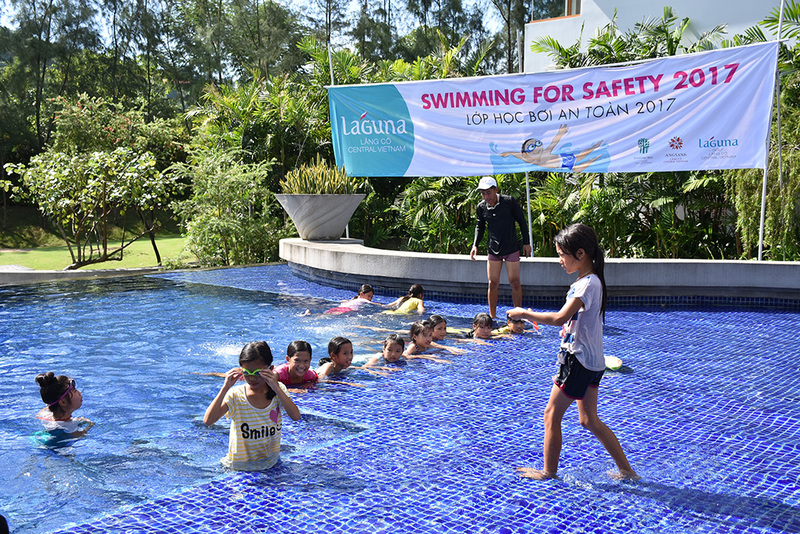 As drowning is the second leading cause of accidental death for young people in Vietnam especially in rural area, this year Laguna Lăng Cô continues to support local primary schools by hosting swimming classes for young students at Angsana Angel Pool, following the success of "Swimming for Safety 2014" project in which Laguna Lăng Cô collaborated with Hue Help Organization to provide first aid and swimming lessons for local students. 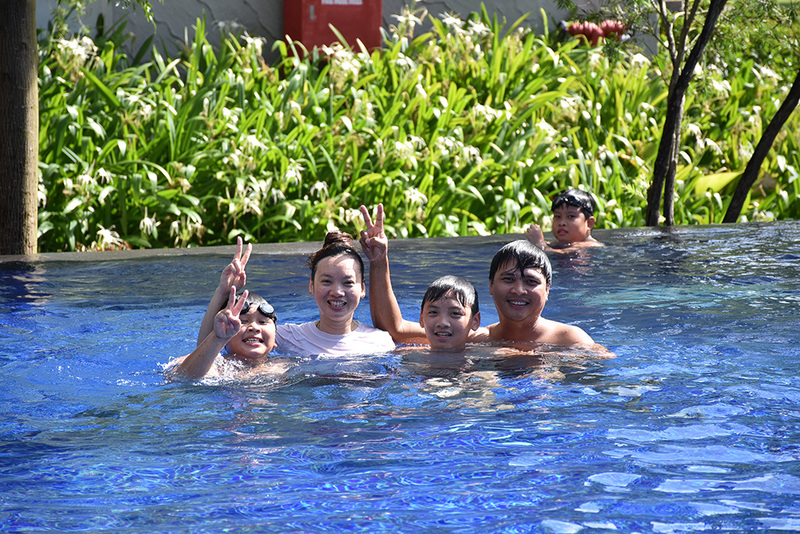 The 2016 classes benefited 25 students from Nuoc Ngot Primary School nearby the resort. 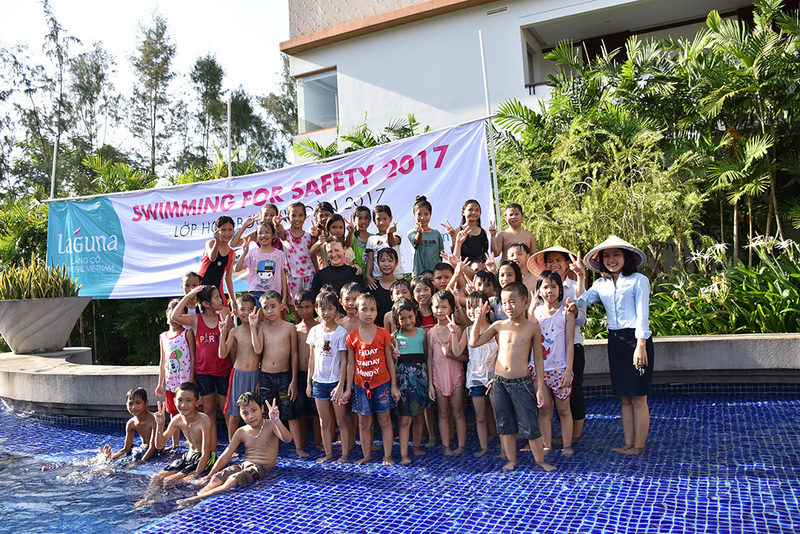 Our associates and 7 hotel guests volunteered to guide the students with swimming techniques and safety skills, supporting the teachers. The 2 days brought not only useful training but also great summer fun for the students. 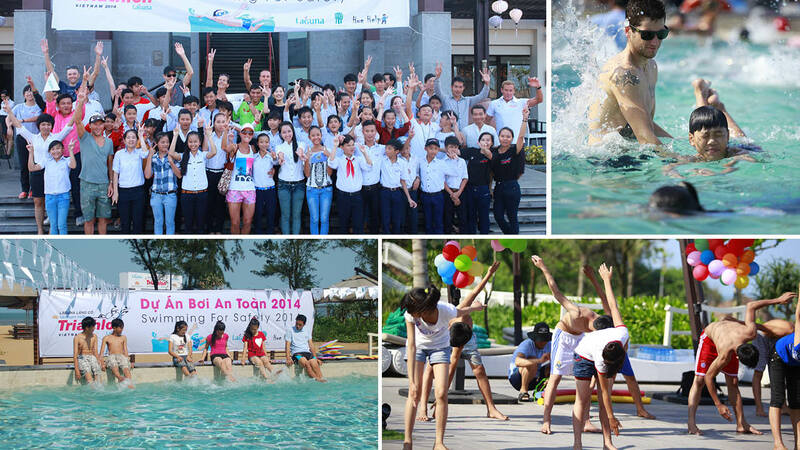 Laguna Lăng Cô has partnered with Hue Help to implement the program Swimming For Safety 2014. This project provides first aid courses and swimming techniques to 1,200 secondary school students in 10 schools within Phu Loc district, Thua Thien Hue province where Laguna Lăng Cô is based. Having aligned with the Laguna Lăng Cô Triathlon 2014, Laguna Lăng Cô was successful in fundraising $1,200 for 170 more students to join the swimming lessons this summer.